A report published by the New Zealand Institute of Economic Research has put a figure on the opportunity cost of Auckland’s traffic congestion. Among its key findings the report says congestion in Auckland is now well above that of comparable cities and is increasing exponentially. The study reveals that the economic cost of congestion is between $0.9 billion to $1.3 billion – equivalent to 1% and 1.4% of Auckland’s gross domestic product. The report notes that despite planned investments to expand Auckland’s network capacity, travel times are still projected to worsen over the next ten years. In the near term, Auckland Transport projects that more than a quarter of the arterial network will be congested by the end of 2017 – an increase from 18 percent at the end of 2014. 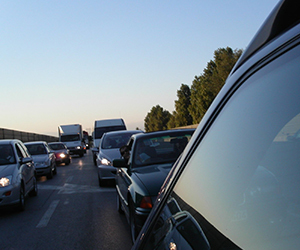 Ongoing population growth means more vehicles will be on the road every day. The report’s authors warn that without significant infrastructure planning and investment, congestion and its associated economic cost will continue to rise.